Published by the American Geophysical Union as part of the Geophysical Monograph Series, Volume 182. This book presents a study of the "eruptive crisis" that took place at the Stromboli volcano from December 2002 to July 2003. It features an integrative approach to the monitoring of eruptive activity, including lava flow output, explosive activity, flank instability, submarine and subaerial landslides, tsunami, paroxysmal explosive events, and mitigation strategies. Selected data useful for testing geochemical, petrological, seismological, thermal, and ground deformation models. This multidisciplinary and multimedia experience, unique for the amount, quality, and variety of data it covers, can be applied to other active volcanoes. Stromboli will appeal to solid Earth scientists and students working in seismology, geodynamics, geochemistry, and mineral physics, as well as nonspecialists with an interest in the inner workings of our planet and others. 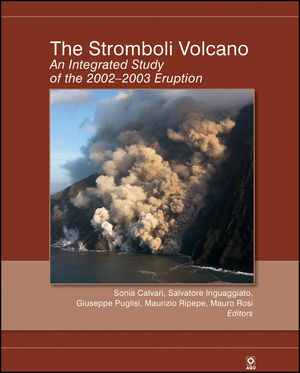 Sonia Calvari and Salvatore Inguaggiato are the authors of The Stromboli Volcano: An Integrated Study of the 2002 - 2003 Eruption, published by Wiley.